This is a casual dining and takeaway chain of restaurants across Bengaluru with around 20 outlets. They make sure that the food is accessible, convenient to eat and is the popular choice, anytime you are hungry. This restaurant serves delectable North Indian, Fast Food along and Biryani. Start off with the ‘Mumbaiyan Masti Chaat’, ‘Rajdhani and Peshawari Wrap’ and ‘Veg Chop Chatterjee’. You must not miss ‘Lachcha Paratha’, ‘Stuffed Naan’ with ‘Macher Mukherjee’, ‘Paneer Tikka Butter Masala’, ‘Kashmir Ki Curry’ and 'Makhni Malhotra’. 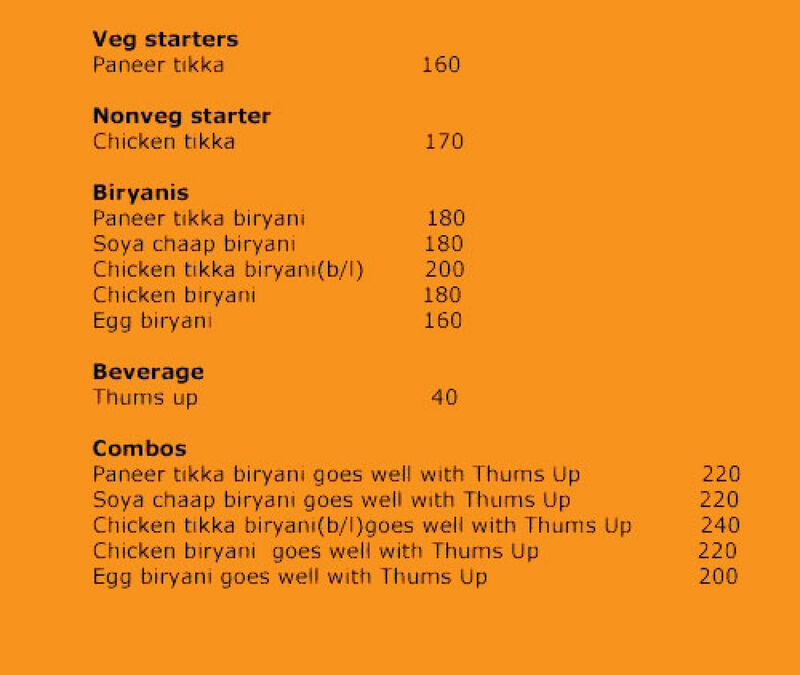 They also serve meal boxes such as ‘Mundu Box’, ‘Thalaiva Box’, ‘Khoob Bhalo Box’, ‘Nawabi Box’ and more with both veg and non-veg options.